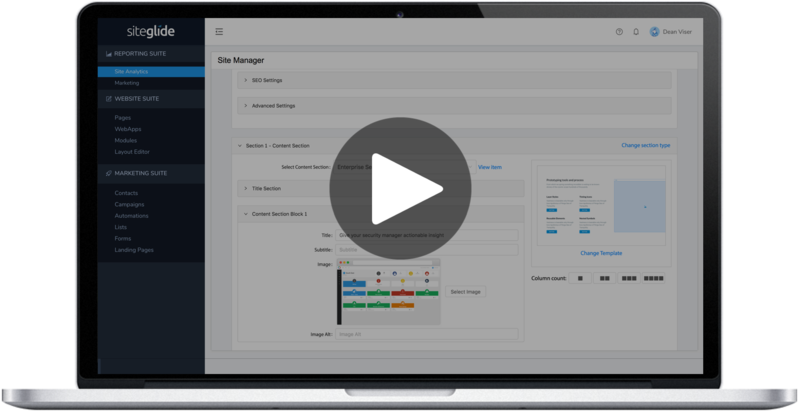 A powerful CMS and Marketing Suite for Businesses & Agencies. Our expert partner agencies can help get you set up and support you along the way. We support you with the technical and give you the tools to help your clients succeed. Siteglide is a collection of marketing tools for businesses and agencies to succeed online. 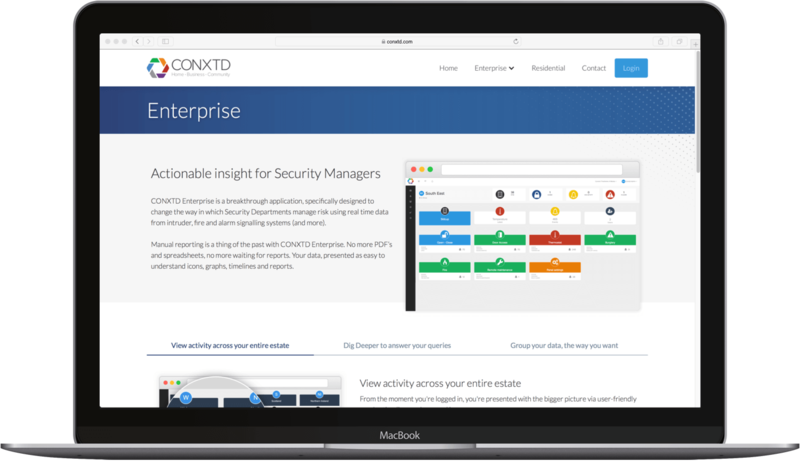 By integrating these tools in one cloud platform and focusing on marketers not developers we enable you to do what you do best rather than battling with technical challenges. We remove the technical challenges from digital marketing. We make it easy and hassle free for your business to do more - whether it’s managing websites or marketing campaigns. Many businesses small and large spend precious time and incur huge costs battling with technical issues related to their website and digital marketing. Our mission is to change that. We handle the technical by helping agencies and businesses focus on what they do best. "Siteglide allows me to manage all our marketing from one place without needing to learn complex systems. 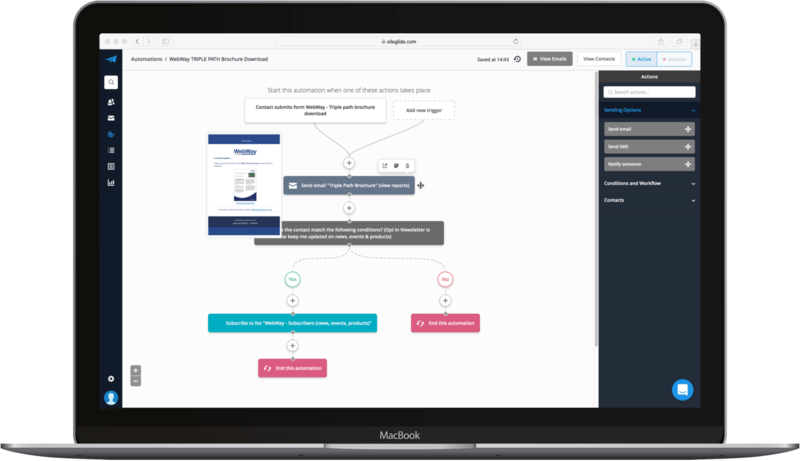 The CMS is so quick and easy to use while the Marketing Automation saves time and helps generate business. All for a fraction of the price of tools such as Hubspot." No technical expertise required. Stick to what you do best. Content Management Systems can be clunky: not ours though. Edit your website from a visitor perspective. No complex backend for editing or HTML issues, simply click, type and save. Edit your site in minutes with no technical expertise whatsoever. Quickly and easily set up new marketing campaigns that attract prospects, drive conversions and nurture leads all, within GDPR guidelines and best practice. All integrated in one easy-to-use cloud based system; Siteglide is all you need. Ensure your marketing is effective with at-a-glance dashboards that can be customised to your business. 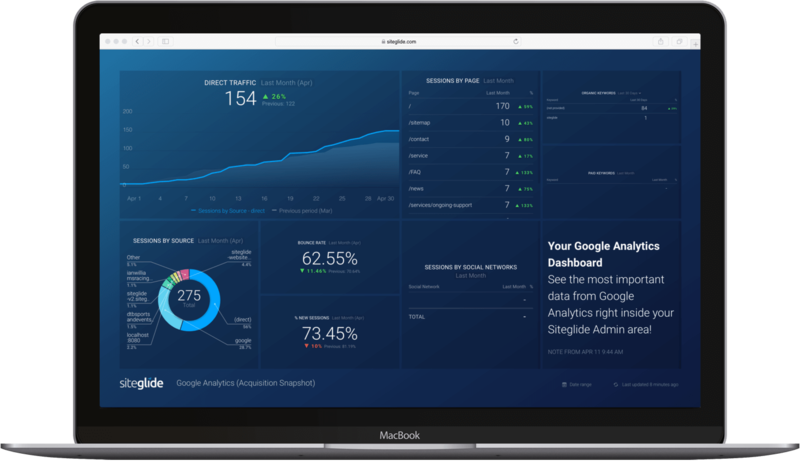 Bring in data from Google Analytics, Search Console, Social Accounts or enquire about a bespoke integration. Via our dedicated Support Portal, live chat or phone service - we're here to help. We work directly with agencies to help businesses improve their digital marketing. Get in touch to schedule a demo. Visit our Support Portal to find helpful guides on how to use the various elements of the Siteglide platform.